Everyone experiences anxiety. But people with generalized anxiety disorder (GAD) are frequently distracted by their worries, avoidant of activities that might stir up the anxiety, and "on edge" without explanation. In most cases of GAD, the anxiety negatively impacts the individual’s relationships and/or performance at school or work. Treatment for GAD aims to help people feel better mentally and physically and to increase engagement with the people, places, and situations that previously elicited worry. Given the far-reaching effect that anxiety can have on day-to-day functioning, even low-grade anxiety that does not meet the threshold for a firm diagnosis can be worth working on. Psychotherapy is a popular form of treatment for GAD. "Talk therapies" can be performed by a variety of mental health professionals, and though the approaches described below can overlap, they are guided by differing theories and emphases. CBT is the most popular treatment for GAD. It is a present-focused psychotherapy with a strong evidence base to support its use in adults as well as children and adolescents. It has been associated with a reduction in the need for medications in some people. CBT is typically a short-term, structured treatment that focuses on the interplay between the conscious thoughts, feelings, and behaviors that perpetuate anxiety. ACT is another present- and problem-focused talk therapy, and it is considered by some to be a relative of CBT. The goal of this treatment, however, is to reduce the struggle to control anxious thoughts or uncomfortable sensations and increase involvement in meaningful activities that align with chosen life values. ACT can produce symptom improvement in people with GAD, and may be a particularly good fit for older adults. Two other types of "talk therapy"—psychodynamic therapy and interpersonal psychotherapy—are sometimes used in the treatment of GAD. Psychodynamic psychotherapy is based on the idea that thoughts and emotions that are outside of our consciousness (i.e., outside of our awareness) can lead to internal conflict and manifest as anxiety. 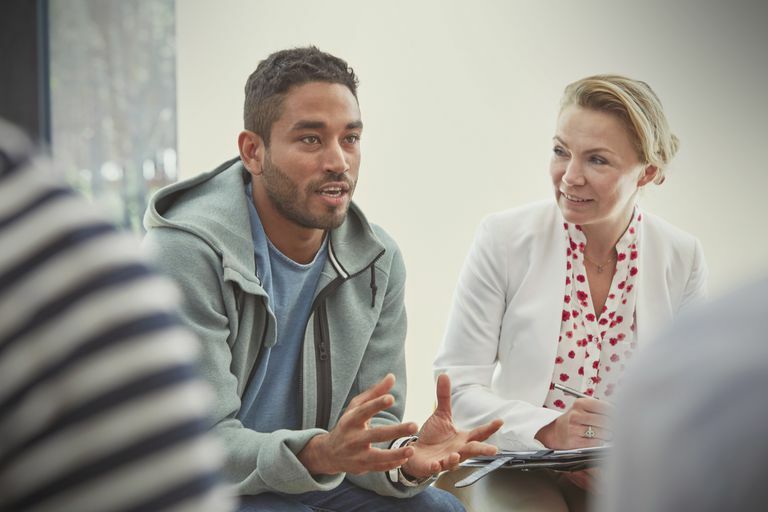 Interpersonal psychotherapy (IPT) is a time-limited, present-focused treatment based on the assumption that symptoms may be caused or maintained by problems in relationships, and that resolving these problems can help reduce symptoms. Medications for anxiety work by interacting with brain chemicals called neurotransmitters. Particular medications may block the absorption or enhance the action of one or more of these chemicals. Also, another "older" category of antidepressants—monoamine oxidase inhibitors (MAOIs)—are sometimes used. Antidepressants have a well-documented ability to help with GAD symptoms, but they can take several weeks to take effect. SSRIs, such as sertraline (Zoloft) or fluoxetine (Prozac), are typically considered a good, first-line choice for the treatment of GAD because they are relatively safe medications that tend to be well tolerated by individuals. Anxiolytics, such as benzodiazepines, do not treat the underlying cause of anxiety, but they are effective in the treatment of symptoms. However, this class of medication has some notable drawbacks, including potential side effects like sedation and a tendency to be habit-forming. Buspirone (Buspar) is one medication in this class that is approved for the treatment of GAD and is not known to be habit-forming. There is some evidence that buspirone may also help augment antidepressants. Tricyclic antidepressants are an older type of antidepressants that are used less commonly because they may carry some potentially significant side effects. Self-help refers to less formal approaches that address anxiety symptoms with limited (or no) guidance. For example, there are several self-help books that provide help in a step-by-step format and closely mirror evidence-based psychotherapies for GAD, such as CBT or ACT. With the advent of smartphone technology and the rising popularity of interactive applications, there are now also electronic self-help options that deliver programs informed by evidence-based GAD treatment. There are also applications available with circumscribed, do-it-yourself anxiety-busting tools, like relaxation techniques and mindfulness meditation exercises. Speaking with a clinician—a physician or mental health provider—is the best way to figure out next step(s). Depending on the nature and extent of the anxiety symptoms, one or a combination of the approaches described above may be useful. In general, mild or intermittent anxiety may improve with the use self-help resources. Self-help resources are also a good option for those wishing to pursue an evidence-based psychotherapy who lack access to specialized care. Self-help options can also be used in conjunction with ongoing treatment, or to prevent relapse and promote continued progress after the conclusion of a course of psychotherapy. If your symptoms are persistent, are impacting your day-to-day functioning and/or the important relationships in your life, or are clearly noticeable to others, then more formal treatment is worth considering. For anxiety of a moderate to a severe degree, a course of psychotherapy may be indicated. Medications can help with persistent anxiety of any degree. When considering psychotherapy versus medication, it is important to note that psychotherapy may take longer to bring symptom relief than medication, but its effects can also be longer lasting (i.e., the insight and skills learned in psychotherapy are retained after treatment ends). And for some individuals with GAD, maximizing treatment—taking medication and participating in psychotherapy—maximizes results. Making the decision that’s right for you is really a process of ongoing assessment. If you select a self-help approach, be aware that persistent or worsening symptoms are indicators that you would benefit from an in-person evaluation by a clinician. With medication or psychotherapy treatment, find a provider you trust and ask questions to fully understand what type of treatment you will be receiving as well as its risks and benefits (You can read more on deciding if medication is right for you here). When pursuing treatment of any kind, it is important to be patient and to participate in regular monitoring of symptoms (and, in the case of medication treatment, side effects) with your clinician. While the symptoms associated with GAD are undeniably uncomfortable, the good news is that they are treatable. The treatments described above will take work, but the work will pay off in the form of relief and respite from anxiety and worry. Allgulander C. Generalized anxiety disorder: a review of recent findings. J. Exp. Clin. Med.2012;4, 88-91. Hoge EA, Ivkovic A, Fricchione GL. Generalized anxiety disorder: diagnosis and treatment. BMJ.2012;345, e7500. Newman MG, Crits-Christoph PF, Szkodny LE. Generalized Anxiety Disorder. In L Castonguay & T Oltmanns (Eds. ),Psychopathology: From Science to Clinical Practice. New York: Guilford Press. 2013; p. 62-87. Roemer L, Orsillo SM, Salters-Pedneault K. Efficacy of an acceptance-based behavior therapy for generalized anxiety disorder: evaluation in a randomized controlled trial. J. Cons. Clin. Psych.2008;76,1083-1089.